I absolutely love this eye primer. It makes your eyeshadow really come to life. It's easy to apply and a very small amount goes a long way so you get a bang for your buck. The little bottle is so beautiful, I have it sitting on my makeup desk. The formula is the best I've tried. This is my daily go to eye shadow primer! I used this as my first ligit eyeshadow primer and now I will never be able to live without it. 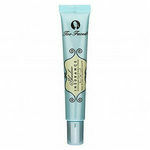 This is an amazing eyeshadow primer. I'm not sure it's the best one, but if you get this primer for the 10 sale price it's beyond perfect. This stuff keeps your eyeshadow in place, and actually enhaces the color payout of the shadow. If you're on the fence, this primer meets it's review stars. I love this primer most days. It goes on smoothly (which is so important for your eyes) and absorbs quickly so you can put on your eye makeup right away. The only thing I don't love is that it doesn't work as well when it's hot and humid outside. Obviously, no makeup works as well when it's humid, but this seems to crease quite a bit. I normally do not spend a lot of money on eye makeup, but this is where I make the exception. 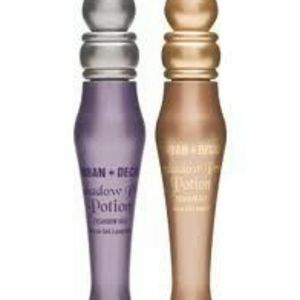 I have used Urban Decay Eyeshadow Primer Potion in the original and the Sin colors. So far, my favorite is Sin, it has a nice shine to it and is a little silver/bronze. If I want my eye shadow to be true to the color, I use the Original shade of Urban Decay Eyeshadow Primer Potion, but if I want to jazz things up a bit I use the Sin, it makes my eye shadow have l little bit more shimmer to it and makes for a great nighttime look. Some times I even use it for just an eye shadow when I want a natural look or I use it to highlight my cheekbones. They make my eye shadow last the entire day or night and I love them! 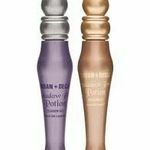 This product is wonderful for making your eyeshadow color pop! It goes on very fine, and does not leave much color, especially if you get the skin color shade. You then apply your eyeshadow and it makes the color more dramatic, and helps it stay on all day. Definitely worth the money. It also lasts a long time! Urban Decay shadow primer is AWESOME! I have tried other cheaper products and there is a reason they are so cheap...they don't work! This product delivers on every claim! I must have very greasy eyelids since my shadows always creased before I bought this product. This makes my shadow stay all day long! This eye shadow primer is possibly one of the best out there. It keeps your eyes in tact completely. I like to use this product especially with the urban decay naked palette. I would recommend this to any one looking to find something that can keep you eye shadow in place. I'm giving this a 5 because I really go back and forth between hating it and loving it. I feel like it's a little hard to get the application JUST right- if you don't smooth it out perfectly it forms little creases and bumps which ain't cute. The texture is almost like concealer; pretty thick. It generally holds my shadow for a long-lasting day, but there have been days when I've ended up with raccoon eyes. I don't hate it, but I don't love it. I know a lot of people rave about Urban Decay's Primer Potion, but as much as I love Urban Decay, I think there are better eye primers out there. I do use this primer on a regular basis, but that is because I am still trying to use up samples I have gotten with my other purchases. Primer Potion does not give me great color payout with my eyeshadows. I find that it does an okay job of covering up discolored spots on my eyelid to give me a more even application, but I don't get as much color enhancement as I do from primers such as Nyx's, which are also much cheaper. I should add that I have very fair skin. I don't know if this makes a difference when using this product or not. I enjoy the packaging that the product comes in. It is very girlish and it really does resemble a potion bottle. It reminds me of being little and playing dress up with little girl makeup. I think that the price is a bit high, only because this product doesn't do everything I would like it to do.